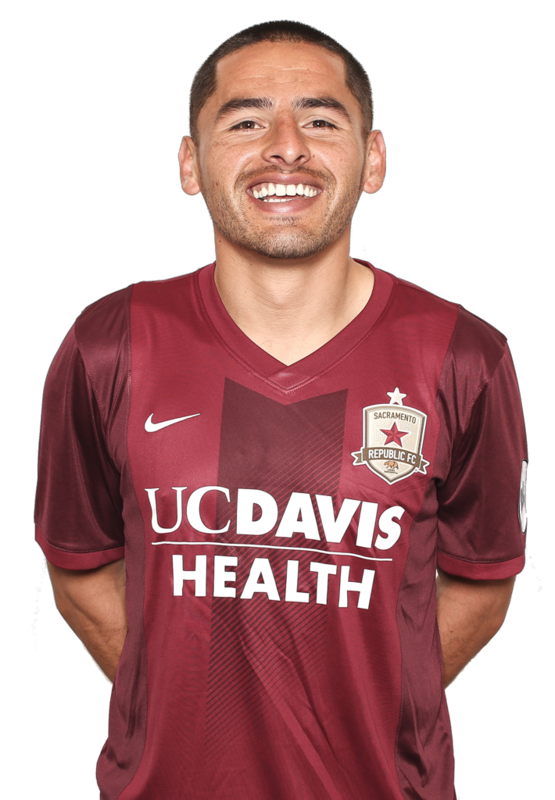 2017: Appeared in 20 matches for Republic FC in all competitions, including 16 USL matches before undergoing a season-ending foot surgery on Jul. 8 ... Scored a goal and added four assists in USL regular season play, recording the fourth-most USL assists on the club despite playing only half of the matches ... Passed Rodrigo Lopez as the club's all-time leader in USL assists with his assist on Trevin Caesar's 59th minute goal against Seattle Sounders FC 2 on May 28. 2016: Made 37 appearances in all competitions for Republic FC, including all 30 of Republic FC's USL matches ... Lead the club with nine USL assists, a Republic FC record for most assists in a season ... Scored four goals, including three USL goals ... Was one of only three Republic FC players to play over 3,000 minutes in a single season ... Was named to the All-USL First Team ... Earned USL Team of the Week honors for his performance in Week 16. 2015: Signed with Republic FC on June 6 … Appeared in 20 matches for Republic FC in all competitions, including 16 USL appearances … Recorded two goals and three assists in USL play … Recorded two assists against Colorado Springs Switchbacks FC (8/14), including the assist on the match-winning goal. 2014: Signed with the San Antonio Scorpions where he appeared in 13 matches, recording a goal and two assists … Was traded to the Carolina Railhawks on August 5 … Appeared in ten matches for Carolina, scoring a goal. 2012-13: Signed with the Atlanta Silverbacks in 2012 after playing with Cal FC … Appeared in 31 matches for the Silverbacks over two seasons, scoring five goals and recording seven assists … Played with Cal FC when the amateur club made a strong run in the 2012 U.S. Open Cup, including a victory over the Portland Timbers. 2011-12: Signed with FK Spartak Zlatibor Voda, a Serbian first division club. 2008-2011: Appeared in 39 matches for the Ventura County Fusion (PDL), scoring 13 goals … Was a part of the 2009 Fusion team that won USL PDL Championship. Was a member of the United States U-17 Residency Program … Appeared in over 30 matches for the U.S. U-17 team … Appeared in over ten matches with the U.S. U-18 Men’s National Team … Was a member of the U.S. U-20 Men’s National Team in the 2007 Pan American Games in Rio de Janeiro, Brazil. 2010: Was named Big West Player of the Year for a second straight year after recording four goals and eight assists in 22 appearances. 2009: Named the Big West Player of the Year after scoring five goals and recording a team-high nine assists in 24 appearances … Was also named to the First Team All-Big West and Second Team All-Far West Region. 2008: Appeared in 20 matches as a freshman, scoring a goal and recording five assists. Parents Sandra and Blake Upton … Has a sister, Sarah and a brother Diego … Enjoys golfing and hiking with his dog, Nala, in his free time.